It’s a Saturday afternoon you’ll never forget! 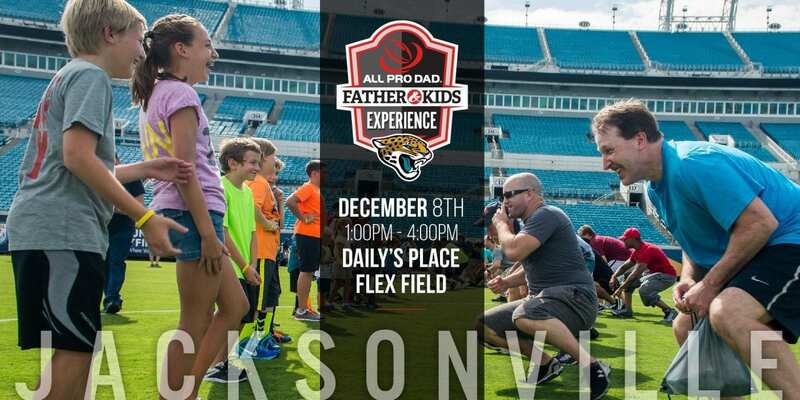 It starts when you and your child experience the thrill of stepping onto Dream Finders Homes Flex Field at Daily’s Place where your Jacksonville Jaguars practice. You’ll spend the next few hours connecting with your kids – with plenty of fun and games plus some practical fatherhood tips you can take home and put into practice. 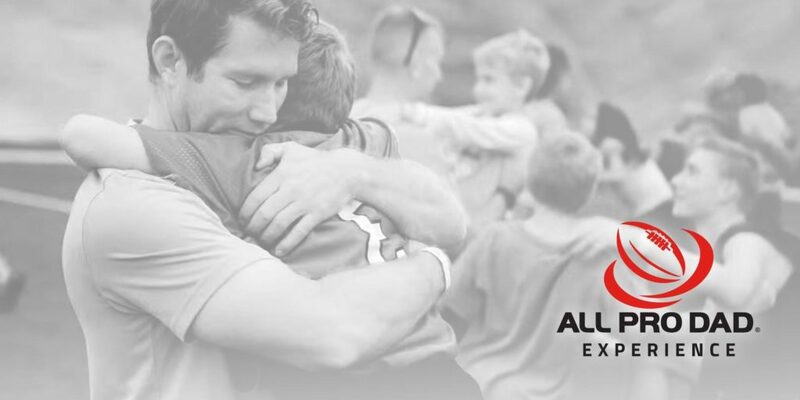 You won’t want to miss this memorable experience, created just for you and your kids. 1:15 pm Welcome Message from All Pro Dad + Jaguar Great Josh Scobee!